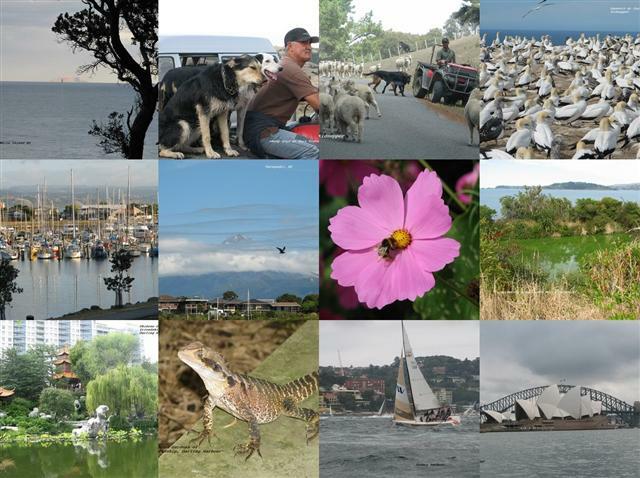 A reasonably eventful year. And after the 24th Nov election a chance for a fairer, more socially responsible government. They may even restore some of Australia's reputation as a sharing welcoming society. 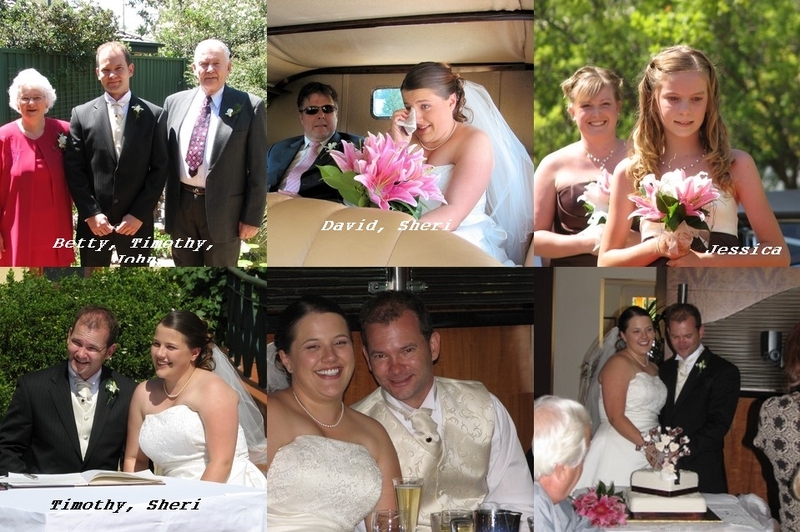 The big event for us was Tim's wedding to Sheri in mid-Feb. A great day and much celebrating. They have brought a nice house near Hilary, and are living there with Sampson the elderly Malamute, Miki a Malamute puppy and Sabre the mad egg stealing cat. Sheri is expecting a baby in early May next year! Please click on any of these pictures (courtesy Betty) for a larger version. We had 3 trips away this year. The first was to NZ North Island for another family reunion. Great to catch up with many of the relatives I only met for the first time at the 2002 reunion. It has certainly re-sparked some interest in genealogy, and (with major help from Linda in Auckland) I can now trace my line back to (probably) one John Saxon born around 1655. We toured the mid N.Island from Auckland via East Cape to Napier, then back up the centre to around Waitomo caves, then South via Taranaki (Mt. Egmont) to Wellington. We were welcomed into many homes of close and distant relatives along the way. One day we hope to return the many favours. See http://picasaweb.google.com/eesaxon/NewZealandMarch2007 for many more pictures. Hilary is still nursing and is now studying for her Masters. Amanda, her eldest, turned 21 this year. Her other 3 girls are doing well. Second daughter Penny is rising through the teaching ranks at the CIT, and her husband Terry is doing very well at my old work place, the NASA Canberra deep space communications complex. Our youngest daughter Catherine and her husband Michael are both nursing up in Brisbane. And Tim and Sheri are both working in the A & E department of the Canberra hospital. Somehow they seem to survive the high stress life there. Betty and I then had a 10 day break on the Mornington peninsular which almost encloses Melbourne's Port Phillip bay. We stayed there with all Betty's siblings and spouses to celebrate her elder sister's 70th. We had a good time visiting Pt. Nepean national park which is riddled with WW1 & 2 gun emplacements and tunnels. Also taking the ferry over to Queenscliff for a meal etc. Visiting Cape Schanck lighthouse and museum and many other places of interest. We returned to Canberra via a roundabout route which included a 'behind the scenes' tour of the RAAF Point cook museum with a lot of very nice restored aircraft (and many more restorations in progress). They also have a Blue Steel missile in reasonably restorable condition. 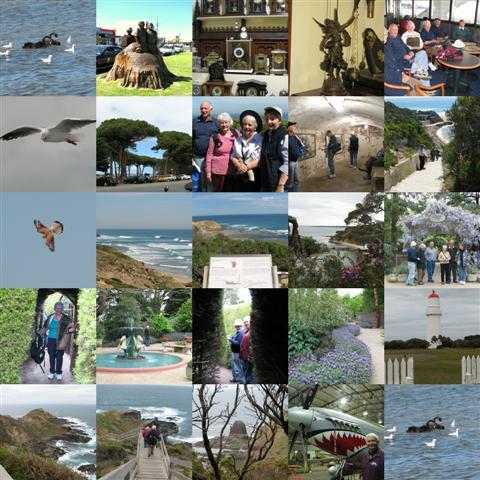 See http://picasaweb.google.com/eesaxon/12thOctPointCookMuseum and other albums of Mornington peninsular. 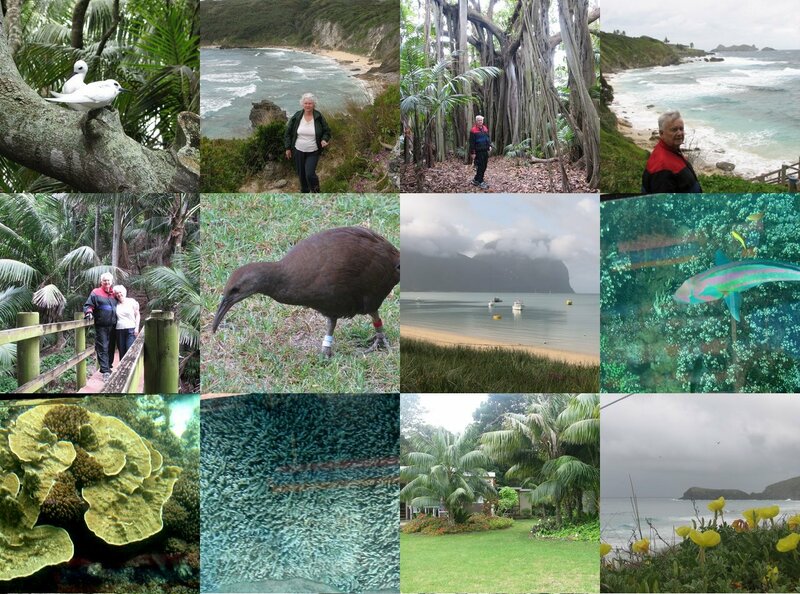 In late Oct/early Nov we celebrated our 42nd wedding anniversary on Lord Howe Island which is actually part of New South Wales about 600Km due East out to sea from the mid-NSW coast. The place is actually (in our view) a real piece of paradise. Only about 300 residents and a maximum of around 400 visitors at any time. Wonderful scenery, superb wild life (mostly birds), terrific coral and snorkelling, and normally a great climate. We were not particularly lucky with the weather which was very windy with regular showers - but it was mild and humid and it didn't seem to matter. Standard dress of shorts and T-shirts was fine. We did a lot of walking and a bit of bike riding. There are only 8 Km of roads and a speed limit of 25Kph for the very few cars and small trucks. We want to go back! As usual you can see http://picasaweb.google.com/eesaxon/LordHoweIsland2007 for loads more pictures. In between the trips it has been 'business as usual' for me and Betty. I have been helping a lot of people with their PCs both from our home and in 'situ' - as well as via Email and phone. I have been running a special Interest group for beginners using the PC Users group training centre - we meet a couple of times a month. Betty has been doing a lot of craft work and trying to avoid answering the phone if I am home. The PC User's group presented us with life membership in October - a very nice gesture. Do hope you have a great Christmas and a superb 2008.